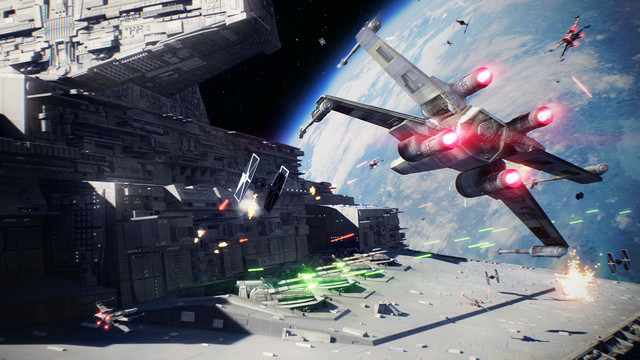 Star Wars Battlefront 2 will feature much more starfighter combat than its predecessor, and that means Criterion Games has a bigger role than ever. 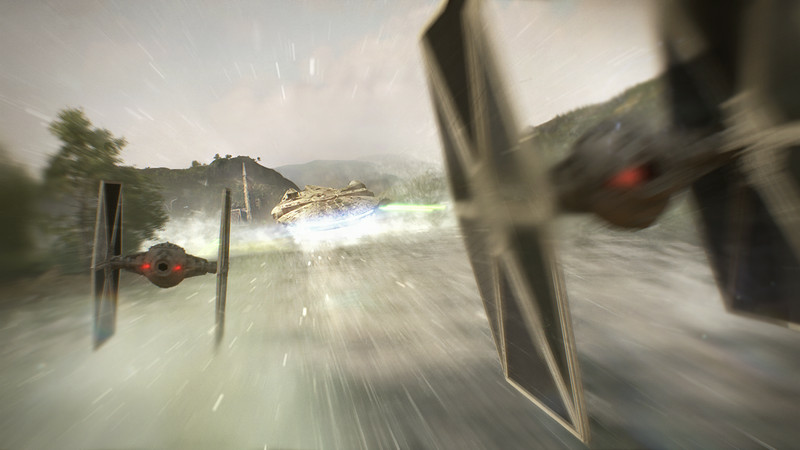 The studio, famous for its work on the Need For Speed series, tells Polygon that much of what they’ve learned making cars fun to drive applies directly to making an X-Wing or a TIE fighter fun to fly. This isn’t Criterion’s first starfighter rodeo, however. That team worked on the speeder bikes in the original game, and were responsible for Star Wars Battlefront: X-Wing VR Mission for PlayStation VR. Webster said that the task isn’t as simple as aping the best work from the team at Disney and LucasFilm. Both Star Wars: The Force Awakens and Rogue One: A Star Wars Story raised the bar for cinematic space battles. They were heralded for their unusual camera angles that brought moviegoers into the cockpit for wide-angle shots looking back at the pilot, or perched them on top of an X-Wing rolling in for an attack run. While those kinds of camera angles were prominent in the new Battlefront 2 teaser trailer released yesterday, that’s not the kind of camera work Webster’s talking about. “The thing that players love, actually, is when there’s a lot of movement in the frame,” Webster said. “It’s quite cinematic, but really the camera is so important to game feel that the cinematic response will always be secondary to that feel. I played plenty of the original Star Wars Battlefront, and the starfighters in that game were my least favorite part. It felt like flying a tiny model of a ship that was perched on the end of a stick. Webster said that this time around the starfighters will appear larger on the screen. In third-person mode they will be, “the stars of the show.” But they can’t get in the way of the action. Criterion has spent much of their time tinkering with how to move the camera dynamically, choreographing it to respond to player inputs. Webster confirmed that there will be starfighter gameplay throughout all the different modes that come with the game, including the single-player campaign, multiplayer ground assaults and the new starfighter assault mode. Webster says that the ships all handle the same, so the skills you learn in one mode can be applied to another. All of the ships in-game can be flown from first person, and more of them will be shared at this year’s Gamescom. Star Wars Battlefront 2 will be out on November 17 for PlayStation 4, Windows PC and Xbox One.